Although the FLO Living protocol – the way I eat, and the way I advise my clients to eat – is focused on all the delicious and satisfying foods you can fill up on that will do wonders for your hormones; I must admit there are certainly some foods that are toxic to your hormones and that I do advise to stay away from completely. I practice and teach the 80% rule of meal planning – 80% of the time eat those foods that best support your current hormonal phase (follicular, ovulatory, luteal, menstrual). That leaves 20% for the foods that are suggested for your other hormonal phases and the foods not prescribed by the protocol. 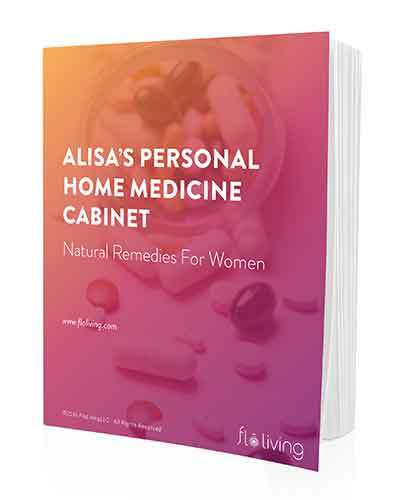 However, women discover once they start eating the FLO Living way they realize what an obvious, tangible impact some foods have on your body – on how you look, how you feel, and your health for the rest of that month, including the state of your period. You don’t want to eat those foods that give you acne, make you bloated, cause you to feel anxious or depressed, give you mood swings and PMS, make your periods irregular, or give you cramps. You do want to eat all those amazing foods that make you look and feel great that day and for the rest of your cycle! The FLO Living food philosophy is not about deprivation, dieting, or guilt. I encourage you to get excited about all the hormonally-supportive tasty foods you can have in your fridge and pantry. It’s all about working with your body, with your hormones, side-by-side, as friends. So when you do eat something you know might make you feel bad (and we all do, sometimes!) – monitor the impact it has, take that new information on board, and recalibrate your goals. It’s a whole body and whole mind approach that is gentle, kind, and compassionate – after all, we’re all human, trying our best to do right for ourselves and our loved ones. It serves no one to beat yourself up over one piece of white bread! Just listen to your body. That said, I do want you to be aware of those foods that are particularly disruptive to your hormonal balance and that are most likely to trigger hormonal symptoms like acne, missing periods, irregular cycles, PMS, cramps and heavy bleeding. These are also the foods that can worsen the symptoms of PCOS and Endometriosis. I call these the “worst” foods because they are capable of causing you to feel bad today, to have a difficult cycle and period this very month, and to experience symptoms almost immediately. For those of us who are hormonally-sensitive (like me, and probably like you) these foods are a threat to our hormones. Even a small amount can have a negative impact. It’s best to be aware of this so you can make the right every meal, every day-based decisions for you. Caffeine – coffee (and those teas that contain caffeine) are not tolerated well by women. Just as with alcohol, caffeine has a harder and more sustained impact on women than it does men. Caffeine can actually exacerbate the body’s propensity to produce cysts so it’s especially bad news for women with PCOS, functional ovarian cysts, Endometriosis, fibroids and fibrocystic breasts. Not only that but just one coffee in the morning throws off your whole endocrine system for an entire 24 hours, messing with your blood sugar and cortisol levels. Your body cannot reset until you sleep and wake up the next morning (when you likely reach for another coffee!). Caffeine also depletes essential micronutrients and minerals that we need for happy hormones. Giving up coffee will have a rapid, positive impact on your hormonal health – if you stop today you will have a better period experience and better overall cycle experience within weeks. Soy – soy is highly debated by the health conscious, but the truth of it is that processed soy is bad for all women, whereas unprocessed, organic, fermented soy in small amounts can be helpful. Women with estrogen-dominance hormonal imbalance conditions are particularly sensitive to the phytoestrogens in processed soy (this includes Endometriosis, PCOS, fibroid sufferers and those with ovarian cysts). Processed soy is anything that substitutes like soy milk, soy meat, soy cheese, soy yogurt. Fermented, organic, unprocessed soy is tempeh, miso, and tamari. White potatoes – eating white potatoes on even a weekly basis (in any form, including fries!) causes blood sugar levels to spike and crash quickly, and research shows this has an impact on blood pressure and long term health. This will affect your fertility and whether your body is able to ovulate regularly. Starchy foods act like sugar in women’s bodies. I am a HUGE fan of sweet potatoes however, which are just as satisfying and get rid of sugar cravings. Pesticide-laden and GMO foods – when the produce you eat is covered in pesticides this adds additional synthetic hormones to your body, while also hampering your liver’s ability to detoxify. This is a bad equation for all hormonal health issues from PMS to PCOS and everything in between. If you’re hormonally sensitive, like me and so many women these days, make your whole grocery list organic and pesticide-free. Research shows going organic has a positive impact on your body within weeks. Artificial sweeteners – although not strictly a “food,” artificial sweeteners are so ubiquitous, on so many ingredients lists, and used by so many health conscious women that I felt it was important to include this category here. Many more of us are coming to be aware of the dangers of sugar, and that’s great, but fewer of us are aware that artificial sweeteners are no better and even hold a host of other potential problems. First of all most sweeteners (even agave syrup, maple syrup and so on) still act like regular white or brown sugar in terms of how they disrupt our blood sugar. Spiking and crashing blood sugar levels is a root cause of hormonal health issues. Secondly, the commonly used sweetener stevia can be ovulation-inhibiting so it is best avoided in large amounts if you’re trying to get pregnant and/or hormonally-sensitive. The glycosides in stevia have a structural similarity to plant (phyto) hormones. When I’m looking for a sweetener for baking or to go in my tea I turn to honey and coconut nectar as they have the least impact on my blood sugar stasis. Second, do any of these worst foods surprise you? Wow- the bit about stevia just hit me. The reason being- I’m currently on day 15 of a 21 day purification (Standard Process) and have been using a lot of stevia in place of honey or other sweeteners. After a long break of getting my body into better health my husband and I planned to start trying to conceive again this cycle- and the past few days I’ve had a hunch that for the first time (ever that I know of!) it seems like I’m going to skip my ovulation this month- it seemed like my body was gearing up to it and then it just stopped. So odd and interesting after reading this regarding stevia. Yikes! What is it about stevia that can cause this? So Stevie is bad I know I react to it . I heard good for Candida and blood sugar. This is great information, thank you! I’m pretty much caffeine free but I love, LOVE the flavor and smell of coffee. I’ve sensed moved to decaf coffee and have about two cups M-F. What are your thoughts about decaf coffee? I know there is still a trace of caffeine in decaf, but is it significant? Should I eventually give up decaf? Do an experiment! This is always the best way to see – don’t have coffee or caffeine of any kind for 5 days, and then have your decaf. See how it feels. Decaf does absolutely have caffeine, and it is enough to effect your endocrine system. If you are going to have decaf from time to time, please make sure it is organically decaffeinated! Thank you Such concise pieces of advice are precious I have one big question about recently very popular sweetener, especially over last few years in Europe called Xylitol made of birch tree bark It usually comes from Scandinavia Would you advise to use it? In order to extract the sugars from the bark and make Xylitol, there are some pretty intense chemicals used. Many experience gastric upset when using this sweetener. I do not recommend it. I have been roasting a whole chicken with veggies (carrots, radishes, small potatoes, onions) almost weekly now because it’s easy, delicious, and lasts a few meals. HOWEVER I have been using those colorful potatoes – the ones that come in a bag, are a little bigger than fingerling, and are blue, purple, yellow, and white. How do those compare with plain white ones? I find they have really great flavor. Hi Alisa, I read an article from you that said you must not drink coffee on an empty stomach because it throws off your endocrine system for 24 hrs and won’t reset until morning. Now this says you can’t drink coffee at all. Which is it? Thank you. Caffeine will influence your blood sugar and adrenals, without question. If you have major issues in either of these areas or struggle with a hormone imbalance, you are best to steer clear, empty stomach or not. But if you are going to have caffeine from time to time, have it after meals to mitigate these effects (though they will still occur). There are times of the month when caffeine may be better accepted by the body, which I discuss in the book under cycle syncing. What about a small amount of diced white potatoes? I bought some before reading this article, can I eat a certain amount with perhaps certains foods that might balance the sugar? Please see my response to Cara N! You’re a true healer and I’ve learned so much . I’ve gone off all sugar , dairy , gluten but coffee ? I’m a vegetarian and love tofu. I’d love your opinion of it. I quit the pill last year for about 4 months at which time I got horrible (and I mean horrible) cystic acne. I went back on the pill at that point. I just signed up for your program and am very excited to try again. I do not recommend tofu for regular consumption, as it is a highly processed soy item! Please switch to beans and fermented soy products, this will help! Do all potatoes (red,purple,etc) have the same effect as white ones? Hi Linda, All the nightshade family potatoes will have the same qualities! This was great info, by the way! But I do have a question for you… could you perhaps (or do you… I’ve not seen one yet, but am still browsing!) create a blog post veganism and the hormonal cycle? I’m just staring off (a few months in) as a vegan and there is soooo much to learn. I feel like it must alter your hormonal balance some too, right? Hi! I would say make sure you are getting the nutrients that you need, and that you are in tune with the symptom feedback that you are getting from your body. 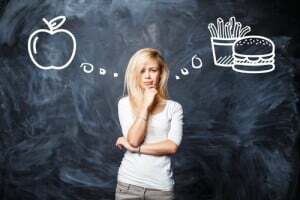 Dietary changes will change everything, and we need to know for ourselves if the changes that are happening are telling us that we are making the right choices or not. It is impossible for me to outline an exact diet for hormones that works for every woman – we are all different. So, know yourself and let us know if we can help! My problem is actually the opposite. My ovaries do not produce any estrogen. I was under the impression since I have breastfed my daughter for 3 and a half years that my amenorrhea was caused by night time breastfeeding, but I do not think she is breastfeeding enough to shut down the estrogen production. I am having miso, fermented products, sauerkraut, kimchi, kombucha, kale and non dairy kefir on a daily basis. I am just shocked to find out that I might have Premature Ovarian Failure. I just turned 40 and even though I already had my kids, I still want my ovaries to work. I have been advised to get on the pill, but I want to explore other options. I just purchased your audio book and your book, so I will give it a try! HI Alisa, how is it that alcohol isn’t on this list? I’m very surprised. Is it really less harmful than stevia or coffee? Please advise.